This came in the mail last week, when I was already anxiously waiting for it. The Hello Kitty Ipad Mini Case that I bought a week earlier because the shopkeeper kind of treatening me by saying, “saya tidak tau lah kalau ini colour masih available by the time u punya ipad sampi”. Demmm.. Terus beli! And see, how cute the mini ipad is! All the features of the ipad mini are still the same as Ipad 3, only the size is FUN-er & lighter. Vtech Innotab 2, that features a motion game, learning activity, big memory capacity & external SDcard memory slot to put in music & movies annndddddd a 360 rotating camera. Dasyat mainan budak sekarang. Purchased it online from UK Amazon, brought back to Malaysia by Enchek Kedek’s cousin and I saved about RM200 from buying it locally. Hehehe. I hope these 2 pictures able to tell you thousands of stories.. Hehe.. Selling at RM145. Add up RM20 to make it water proof. 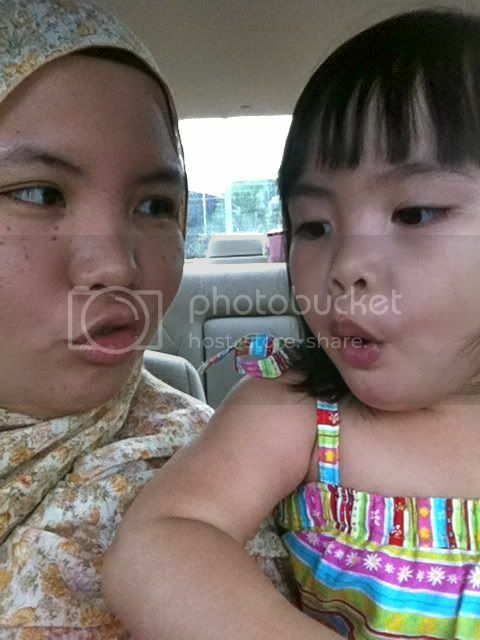 Simple conversation between me & Ariana yesterday, on our way back home from school..
Mommy : Thereee.. In front of us..
Ariana : Oh nooo… Ne ne ne ne house… Ne ne ne ne sleep.. I assumed, she wanted to be back home quick because she wanted to sleep. Even though I am far too late, but I still want to wish everybody a Happy New Year! And to continue the tradition that I started 3 years ago, here is my highlights of 2012. I cant really remember everything, but I sure did a few entries of the events in my life in my humble blog. My handmade bags business, Maisara Marie showing a good sign + good income. The only that I am lack of is TIME. Improved my time management skills in between family, work, house, extra attention to Ariana, super extra attention to Enchek Kedek and whats left behind is for sewing. Struggling for a work life balance. This is subjective. Started gardening despite the ke-geli-an with slimy cacings. I love blooming flowers! Work life are still as usual. No changes. No intention of elaborating it. The closing for year 2012 was our car was stolen, and the thief almost manage to get into our house when all of us fast asleep. When we went back to KK, myself and Ariana are not prepared for our themed colour for the family gathering. So a quick shopping was done on the 25th Dec at 1B and thank you for the SALE at Cotton On Kids! Anyway, there were Christmas Choo-Choo Train, inside 1B driving passenger around at level 1. Ariana, who was a huge fan of choo-choo train insisted for a ride on it. But we were already inside Cotton kids. I force her to choose her outfit first, which of course, she refused. Not wanting to create a scene in there, I made a deal with her. 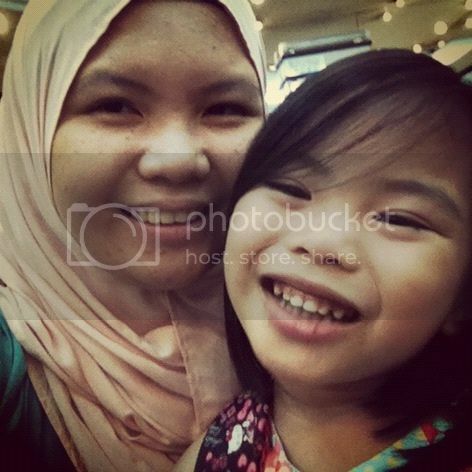 Mommy give you 3 choo-choo trains but we have to buy baju for you first, ok? So, is this blouse ‘cantik’? Showing her the same yelow blouse that I held earlier. Oh.. The choo-choo train ride..
…and when I asked her to show me her happy face..